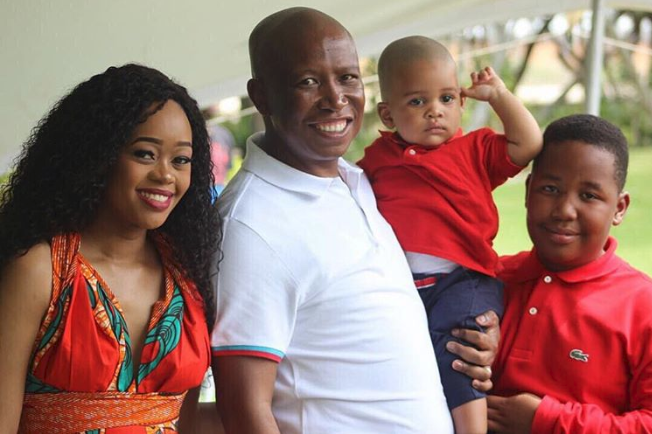 The Commander in Chief welcomed his second son last year; his first child with wife, Mantwa Matlala. However, neither parent was in any hurry to show off a picture of their son and they have gone on to raise him in almost complete privacy. 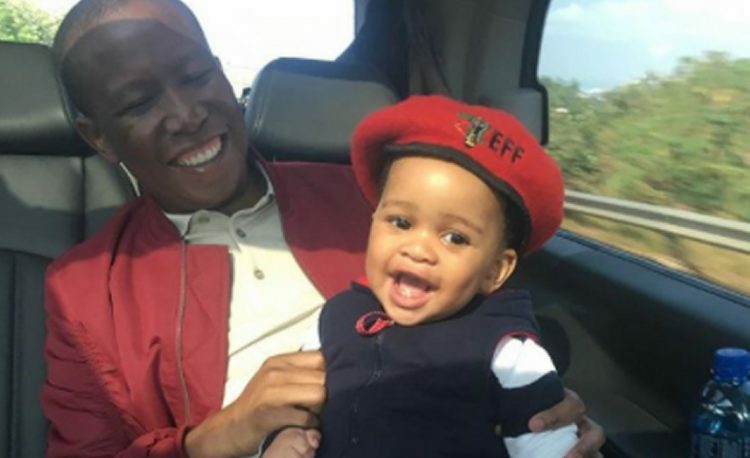 Considering that we are living in an era where the likes of Kenny Kunene sold pictures of his youngest son to the highest bidder, it’s extremely commendable that Julius and Mantwa value their privacy so seriously. Ladies and gentlemen meet the one and only Fighter Munzhedzi Malema of the Mašupatsela a Economic Freedom Fighters. 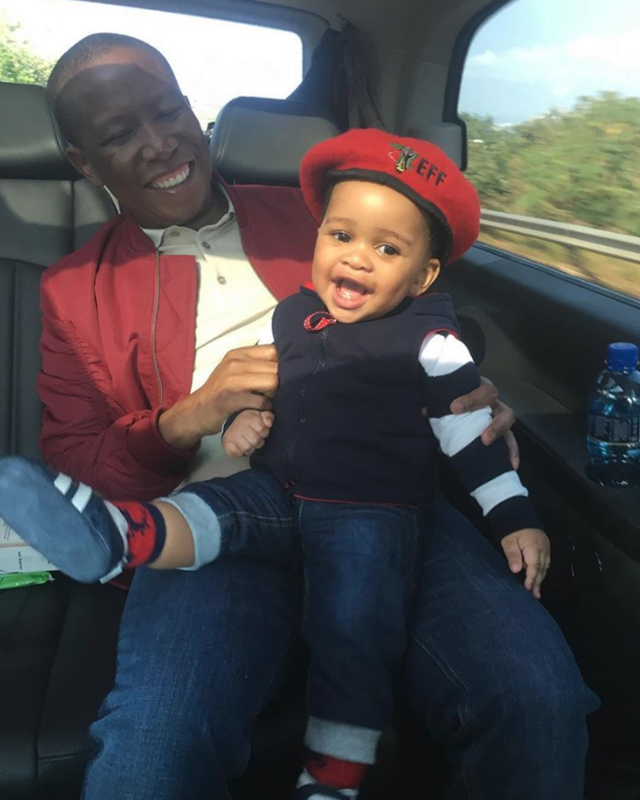 Very proud of you commander and blessings to the Malema family. I look around me, I think about all those who sacrificed the own lives an those of their families to free black people. Its so sad after all those sacrifices we still facing challenges. Hunger, lack of opportunities, corruption, fake BEE implementations, woman an children abuse. Black on black abuse. Richer becoming more rich, abuse of employees by foreign companies. Foreigners destroying our country, irresponsible ANC. Petrol hikes to cover the money the have been irresponsible to manage as government lack of service deliveries at schools an communities. EFF please take over. We wil definitely put you in power to stop an change people’s life. But don’t forget to put people first instead of your pockets. Always be faithful an transparent.